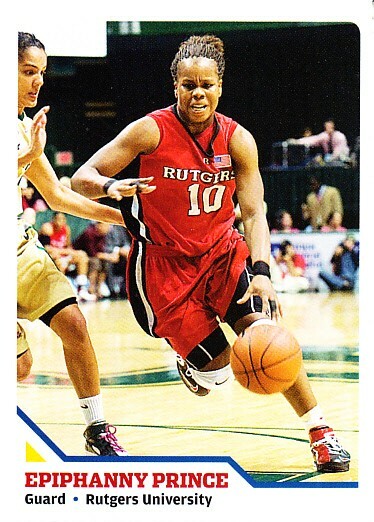 2008 Sports Illustrated for Kids card #256 of former Rutgers superstar guard Epiphanny Prince. With typical perforations, about ExMt condition. ONLY ONE AVAILABLE FOR SALE.